New Website and little awareness of sustainability goals and program, no green brand nor consistent messaging, no success stories. Monthly success stories on the sustainability Website. Produced award-winning sustainability video with over 3,000 views. 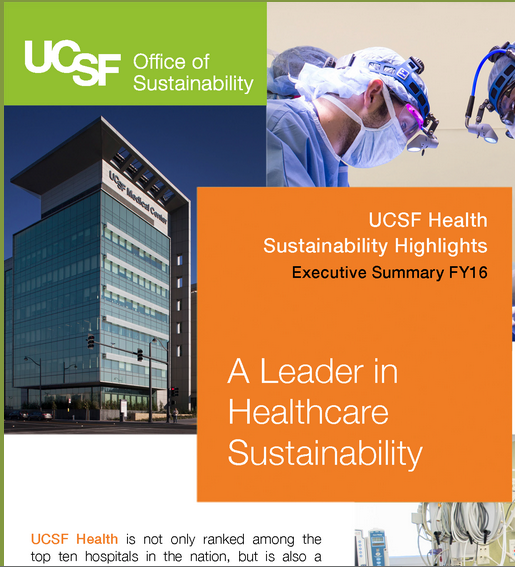 Wrote first UCSF sustainability report for the Medical Center and campus. 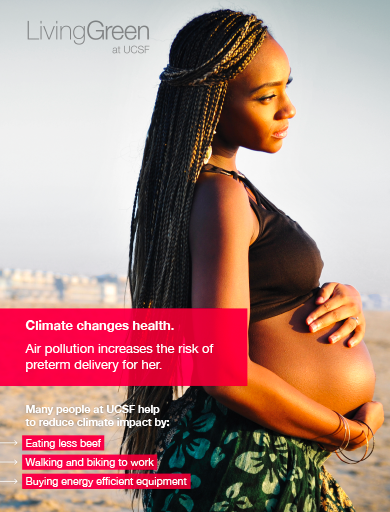 Designed a series of posters to make the connection between health care and climate change. Created a poster to promote energy efficiency in labs. UCSF’s sustainability video won a Telly award in the employee engagement category. Over 4,000 hits on sustainability video. Overall awareness of its green programs and priorities increased. 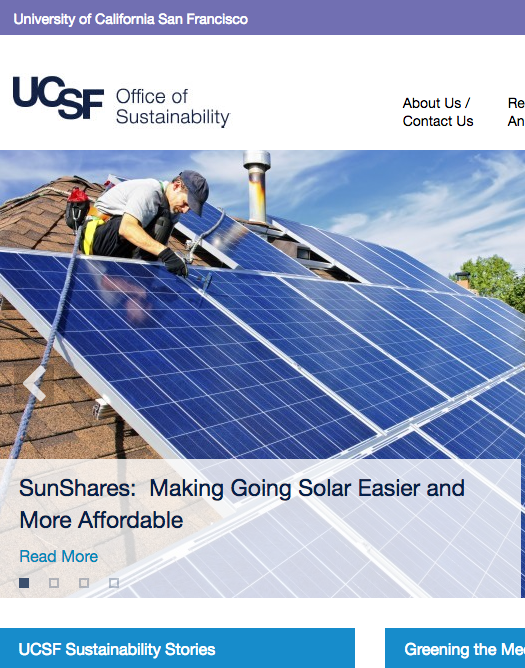 UCSF has won a range of awards for its sustainability programs. 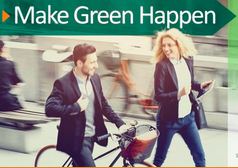 Green Impact helped launch our new sustainability Website, provided guidance on our green brand, and produced our first sustainability video, which has been viewed over 4,000 times. Deborah has brought our successes to life, crafting attention-getting messages and original online success stories that have increased our monthly Web traffic and increased engagement on such programs as the LivingGreen office certification program, saving UCSF over $300,000.